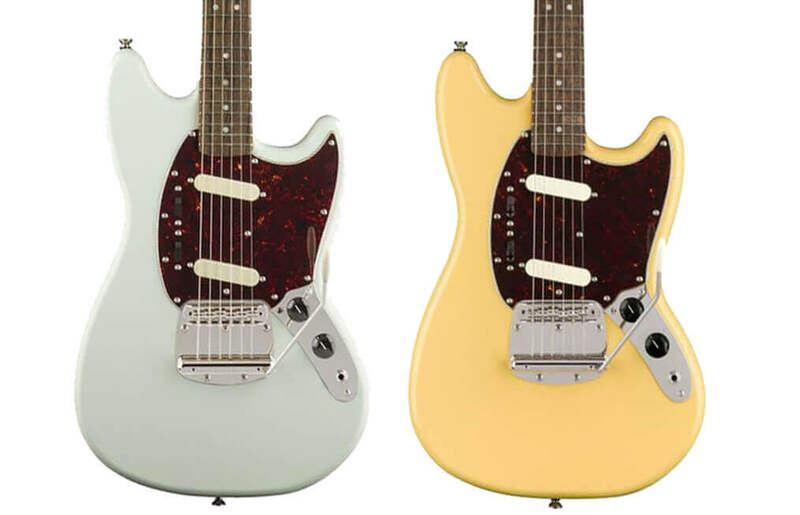 Blog » NAMM 2019 » NAMM 2019: Squier Refreshes Classic Vibe Series! Inspired by the large-headstock Strat models of the 1970s, this Classic Vibe ‘70s Stratocaster offers all the favoured features of the originals. 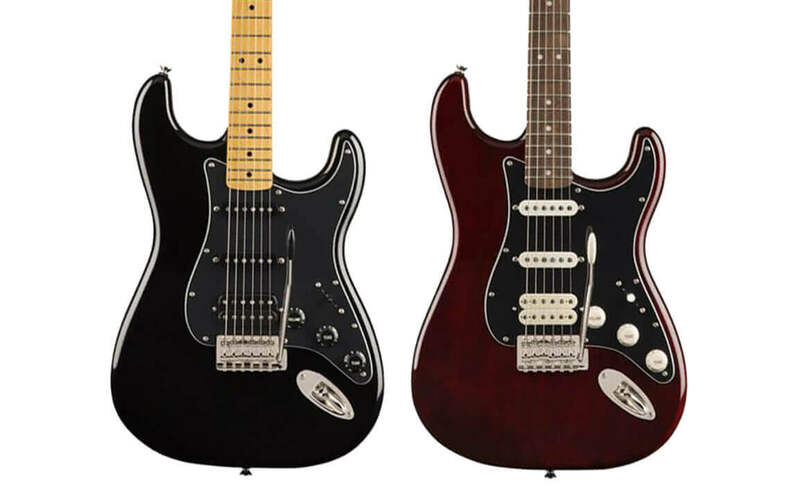 You can enjoy a traditional Stratocaster sound thanks to the Fender-Designed alnico single-coils. These are great pickups and give you a clear and articulate tone. The neck is a comfortable “C” shape with narrow-tall frets and the bridge is a vintage-style tremolo. Much like the the SSS model, this Stratocaster features ‘70s-inspired features, such as the large headstock and markings and vintage-tint neck. The only difference is the humbucking pickup in the bridge position. This opens a new range of tones to you, and makes this quite possibly the most versatile guitar you can get! 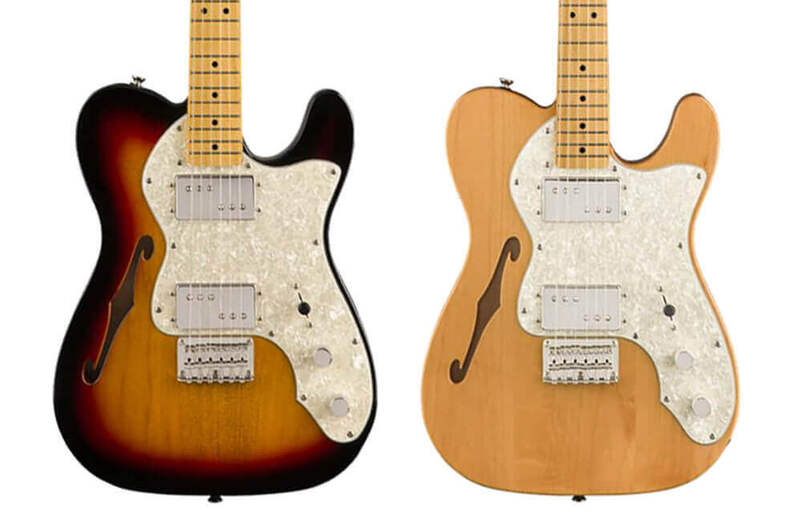 The Telecaster Thinline shape is a favourite of many, thanks to its rhinestone cowboy styling and unique tone. There’s a semi-hollow body, a pair of Fender-Designed Wide Range humbucking pickups and a slim and comfortable “C”-shaped neck profile. The vintage-style Telecaster bridge has individual steel saddles and strings through the body. 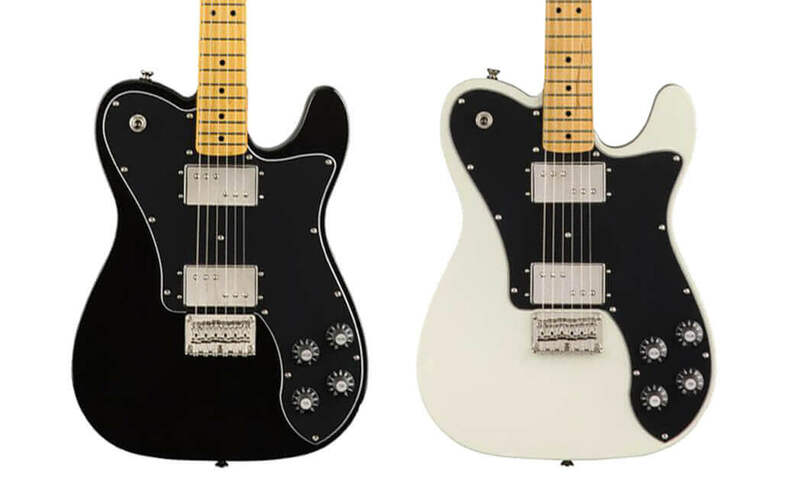 The 1970s saw this evolution of the Telecaster grow in popularity. This model features massive tone, courtesy of the Fender-Designed Wide Range humbucking pickups. A player-friendly instrument, complete with a slim “C”-shaped neck profile, narrow-tall frets and a vintage-style Telecaster strung-through bridge. 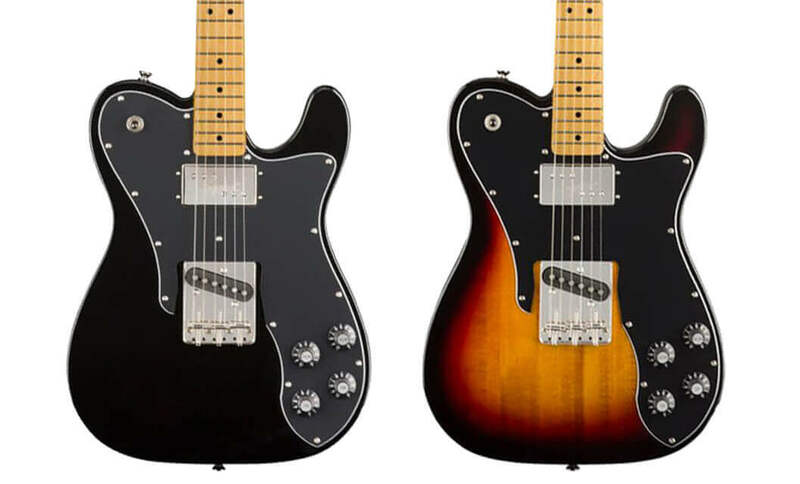 The Telecaster Custom looks very much like the Deluxe, but a closer inspection reveals a single-coil and humbucker combination. This gives you the tight, hillbilly bridge pickup crunch along with a creamy neck pickup for fat lead tones. 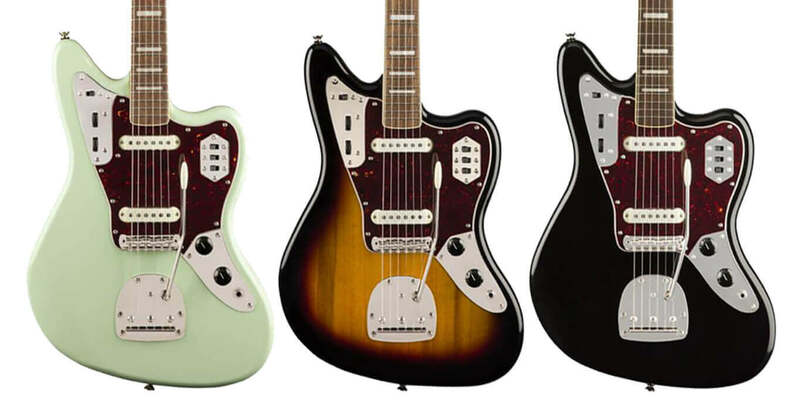 Retro styling is the name of the game for the Fender Jaguar. Sharing many cues with classic automotive design, the Jaguar features sleek lines yet sports a rough and ready feel. Fender-Designed alnico single coil pickups and a 24” scale length set this guitar apart from the rest of the lineup. 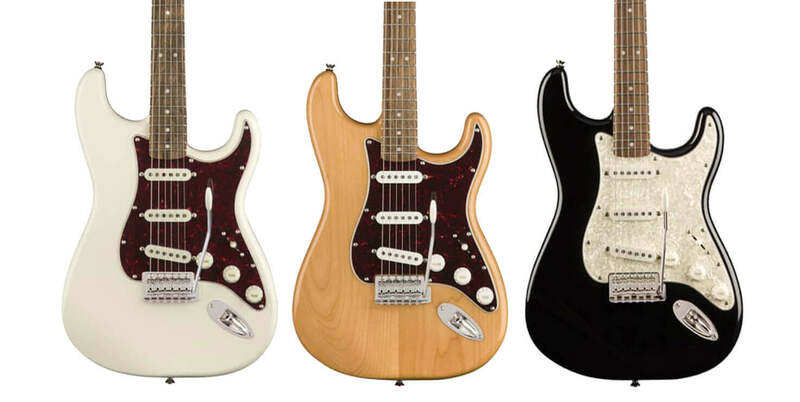 A faithful and striking homage to the iconic Fender favourite, and also available in a rare left-handed edition! Undeniable Jazzmaster tone thanks to the pair of Fender-Designed alnico single coil pickups, and a slim, comfortable playing experience. There’s also the classic vintage-style tremolo system for expressive string bending effects. Another favourite for the fans of alternative guitars, the Squier Classic Vibe 60s Mustang pays tribute to the offset stars of the 60s. With its dual Fender-Designed alnico single coils, 24” scale length and comfortable neck, players of all ilk will enjoy the Mustang. 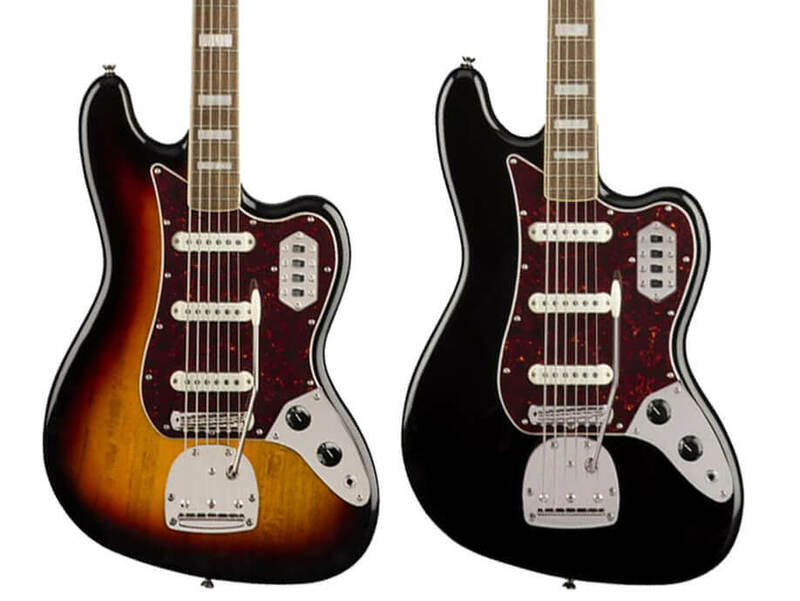 Grabbing headlines this year is the return of the Squier Bass VI! The secret weapon of many a daring producer and sonic pioneer, this beefy instrument gives an extra octave below a standard guitar. It’s certainly a true hybrid; bassier than a guitar yet more guitary than a bass. Thicken out your recordings and enjoy the quirky experience of the Bass VI. Based on the original Jazz Bass from the 60s, the Squier Classic Vibe edition provides luxurious playability together with the famous versatility and powerful tone. 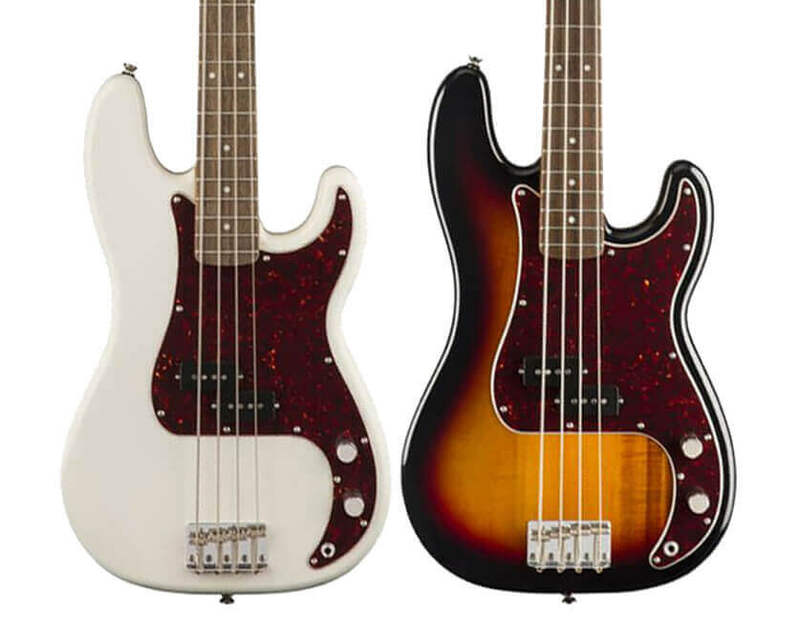 Grab a slice of the Jazz Bass action with this honest and dependable throwback model. There’s also a fretless version available for those wanting to explore their playing. You won’t find a fretless as well built for anywhere near this money! The Squier Classic Vibe 60s Precision Bass embodies the aesthetics of the original, together with the monumental tone from the alnico split-coil pickup. Classic styling, and a sure-fire way to get that unmistakable P-bass tone found on thousands of records!